The user details page shows a user's profile picture, memberships, and recent messages, as well as other data. If your user details page does not match the layout shown in this lesson, please reference the user profiles lesson, which shows how to use the user details page when Profiles are enabled for your institution. Viewing user details and user email addresses are course permissions. Depending on your permissions, you may not be able to view all available information in a user's details page. The User Details page displays details about the user. 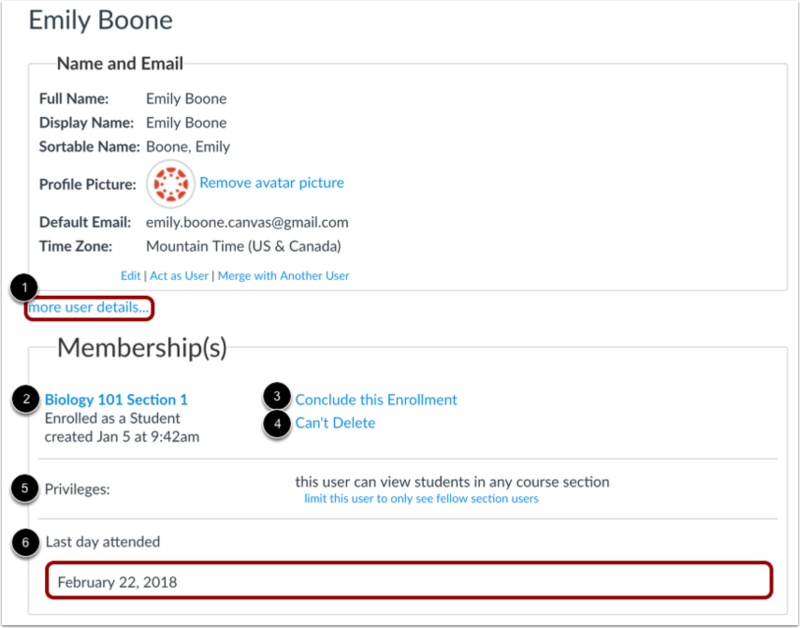 In the user's Name and Email section, you can view the user's name , profile picture (if enabled by your institution) , default email , and time zone . If the user has an inappropriate profile picture, you can remove it by clicking the Remove avatar picture link. Note: Viewing user email addresses is a course permission. Depending on your permissions, you may not be able to view a user's email address. To view membership details about the user, click the more user details link . 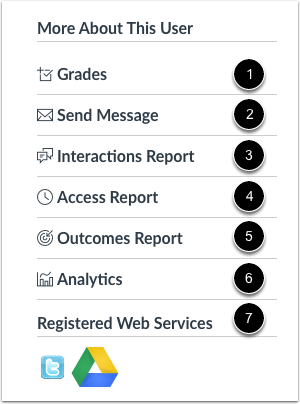 You can view the user's course enrollment and user role . If the user is assigne a custom role, currently only the base role is displayed. Depending on your course permissions, you may also be able to conclude the enrollment  and delete the enrollment . You can also view and manage user course section limitations  and the Last Day Attended field . The Recent Messages section shows the user's recent activity in announcements and discussions, if any. Previous Topic:How do I limit a user to only interact with other users in the same course section? Next Topic:How do I record the last day a user attended a course? 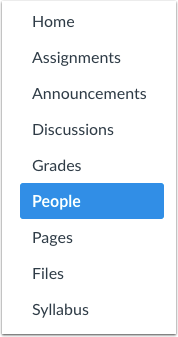 Table of Contents > People > How do I view user details for an enrollment in a course?